If you’re one that gets moved by music, than visit us in June for some of the greatest art and music festivals of the summer. Join in on the fun and check out just a sampling of the amazing events in and around Taos this June. Using El Pueblo Lodge as a home base, make yourself comfortable and soak in the events and happenings of the annual Taos Poetry Festival. Taking place from June 2-4, our small community will become overtaken with poets from all walks of life. With special events, poetry slams, and workshops throughout our town, you never find yourself wondering what to do next. 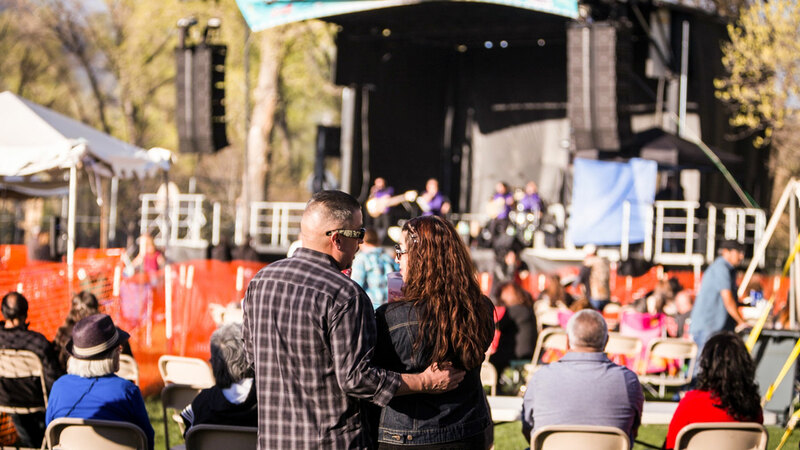 If you’re still curious what to do in Taos NM, branch out a bit and head down to Red River for the annual River and Brews Music Festival. On June 11, Red River hosts an event with the perfect combination of mouth watering barbecue, live music, plenty of dancing, a great selection of microbreweries on site and perhaps one of the most beautiful backdrops to any live music venue around. The above is just a smattering of the many events and festivals taking place in and around Taos, this June. Even if festivals aren’t you’re thing, June is still the perfect time to visit the Sangre de Cristo Mountains and soak up the trails, museums, art, and culture of our little slice of heaven.